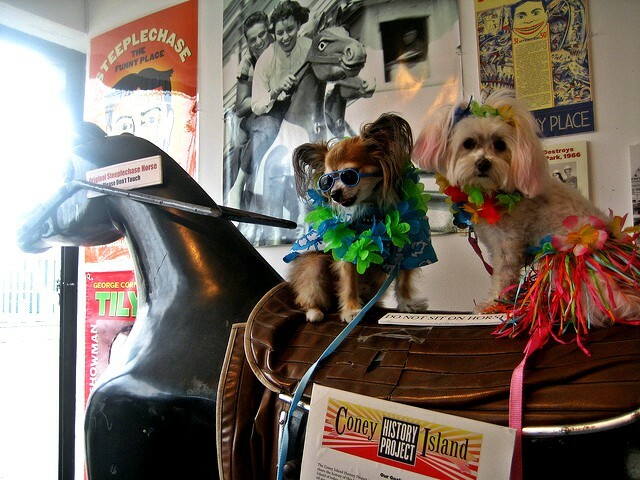 Chico and ZZ Riding the Steeplechase Horse at the Coney Island History Project on Pet Day. 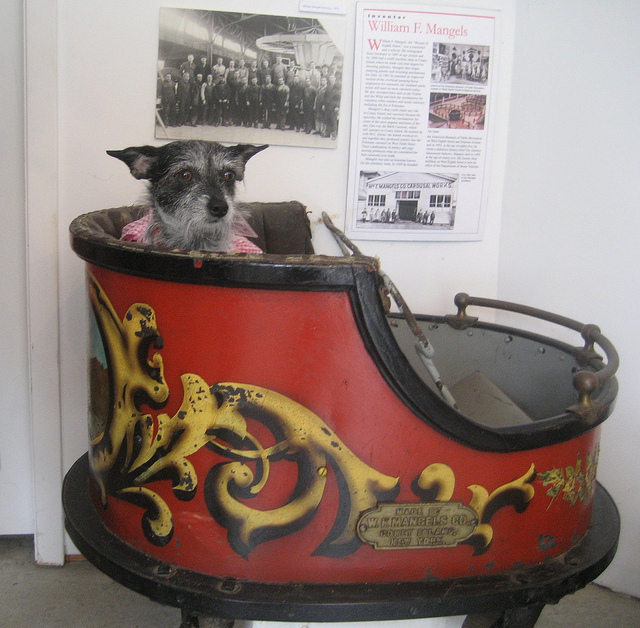 On Saturday, June 10, take a FREE SOUVENIR PHOTO of your SMALL PET "riding" the Coney Island History Project's Steeplechase Horse or antique Kiddie Whip Car during exhibit center hours. Free admission, 1-7pm. 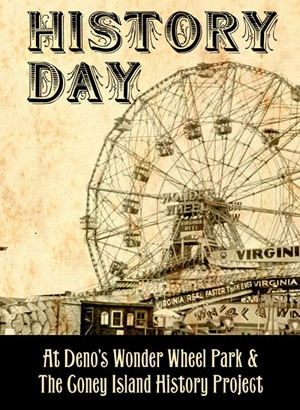 We're joining in the fun as Deno's Wonder Wheel Park celebrates its 7th Annual Pet Day. Dogs, guinea pigs, snakes, turtles and other pets are invited to ride Deno's Wonder Wheel from 12-7 for free when accompanied by their human and enter a Pet Costume Contest at 2pm! 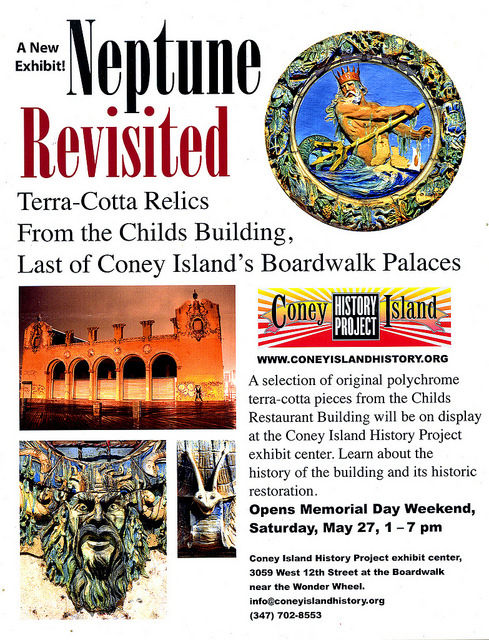 The Coney Island History Project's special exhibition for the 2017 season, opening on Memorial Day Weekend, is "Neptune Revisited: Terra Cotta Relics from the Childs Building, Last of Coney Island's Boardwalk Palaces." 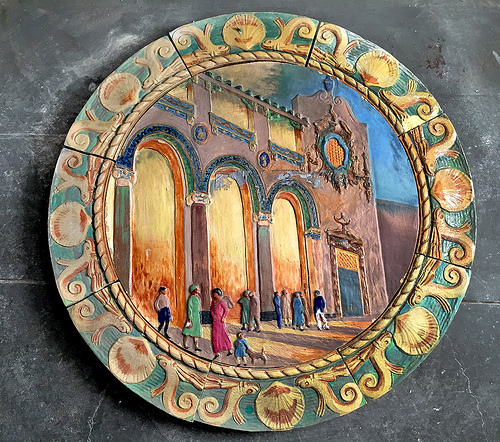 A selection of original polychrome pieces from the Childs Restaurant Building will be on display along with archival photographs, ephemera, and an illustrated timeline of the history of the building and its restoration. Childs Restaurant Building on the Coney Island Boardwalk has a remarkable history that spans nearly a century. Completed in 1924, and originally the flagship location for the Childs Restaurant chain, the building has served as a candy factory, a book warehouse, and a roller rink. The fireproof building also acted as a firebreak during the disastrous fire of 1932, stopping the flames and saving the amusement area from destruction. Childs survived years of isolation at the westernmost fringe of Coney Island's amusement zone as everything else around it closed down and was demolished. The landmark building's colorful, nautical-themed terra-cotta façade, marble columns, and multi-arched entranceway, have charmed and mystified Boardwalk visitors for nearly a century. One of the most striking images on the building is a medallion of King Neptune with gold crown and trident, rising from the sea, dripping with seaweed, and gazing out as if serving as guardian of the Boardwalk. The Childs Building, now connected to the adjacent Ford Amphitheater, recently underwent a magnificent, multi-million dollar restoration and has once again reopened as a restaurant. 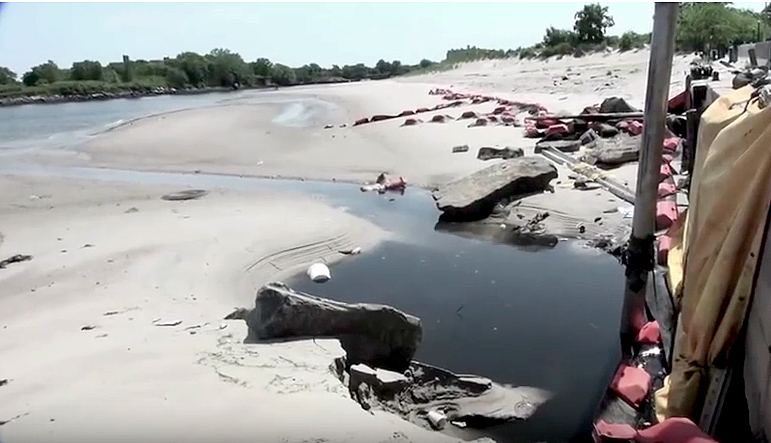 Last May, prior to the opening of the Amphitheater, Coney Island History Project director Charles Denson made a short film about the building's history and future, which may be viewed here. The building's restoration included replication and replacement of the beautiful but seriously damaged terra-cotta decorations that covered the facade. Hundreds of replications were lovingly hand-painted and hand finished by the Boston Valley Terra-Cotta Company in Buffalo, New York. Visitors to the Coney Island History Project can now get an up-close view of many of the original polychrome terra-cotta pieces that were removed, including the King Neptune medallion and a medallion showing an image of the Boardwalk and building that was hidden away for decades on an interior wall of the restaurant. 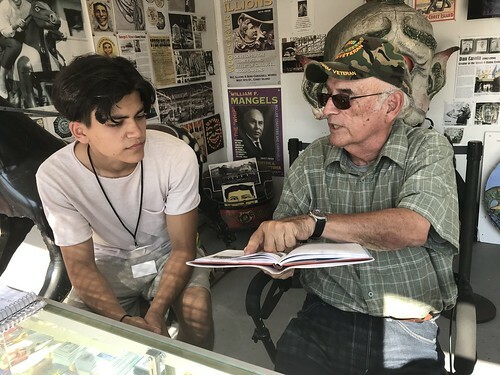 The Coney Island History Project exhibition center is open free of charge on Saturdays, Sundays and holidays from Memorial Day Weekend through Labor Day. We're located on West 12th Street at the entrance to Deno's Wonder Wheel Park, just a few steps off the Boardwalk. View historic artifacts, photographs, maps, ephemera and films of Coney Island's colorful past. 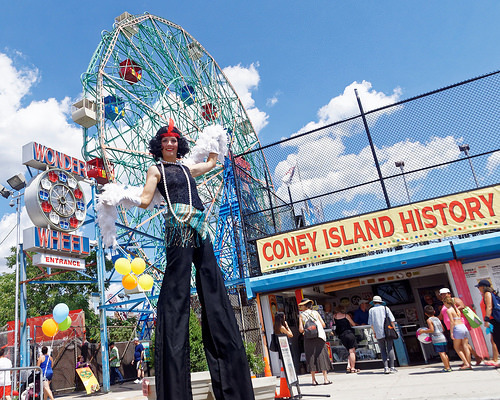 Visitors are invited to take free souvenir photos with the iconic Spook-A-Rama Cyclops and Coney Island's only original Steeplechase horse, from the legendary ride that gave Steeplechase Park its name. Among the rare treasures on display is Coney Island's oldest surviving artifact from the dawn of the "World's Playground." The 1823 Toll House sign dates back to the days when the toll for a horse and rider to "the Island" was 5 cents! When the Spook-A-Rama Cyclops left Coney Island in 2014 for a national tour of art museums as part of the NEH-funded Wadsworth Atheneum Museum of Art exhibit "Coney Island Visions of an American Dreamland," the identity of the artist who created this fabulous piece of folk art remained unknown. Until now. The Cyclops - or "Cy" as we affectionately call him - has returned home to Deno's Wonder Wheel Park and beginning Memorial Day Weekend will be on display at the Coney Island History Project along with documentation of the artist who created the iconic sculpture and its mesmerizing moving eye nearly 60 years ago. Thanks to the reminiscences of a former neighbor, who recalled the artist building the figure in his yard, the Coney Island History Project has learned that he was Dan Casola (1902-1990), a Coney Islander known to us by reputation as a highly regarded painter of sideshow banners. Less well known is that he made mechanized props and painted signs for a number of Coney Island attractions including the 1950's dark ride Spook-A-Rama, created wax figures for Lillie Santangelo's World in Wax Musee, and painted the mural over the bar at Club Atlantis on the Boardwalk. Born in Italy, Dan Casola's family emigrated to New York when he was a child. He lived and worked in Coney Island until the late 1970s when he retired to Arizona. 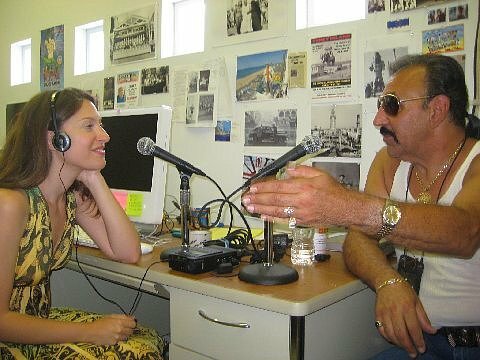 Interviews with Dan Casola's daughter Patricia Casola and son Wesley Casola recorded by Charles Denson for the Coney Island History Project's Oral History Archive provide details of their father's life as a freelance artist. Patricia Casola describes him as a tinkerer and a self-taught man who told her, "I learned by doing this," when she asked where he got his skill and inspiration. Says Wesley Casola, who recalls his father creating the Cyclops from plywood, chicken wire and sheets of celastic, "it'd be nice for him to get some credit for it." The artist had a penchant for maintaining multiple studios, including two in the family's home on Stillwell Avenue and a secret studio behind Spook-A-Rama, where they brought him dinner. Boxes full of glass eyeballs for the taking and free rides were some of the perks of being Danny's kids. The artist's appropriation of household items such as his wife's black brassiere and his children's wind-up toys for his spooky creations was legend. 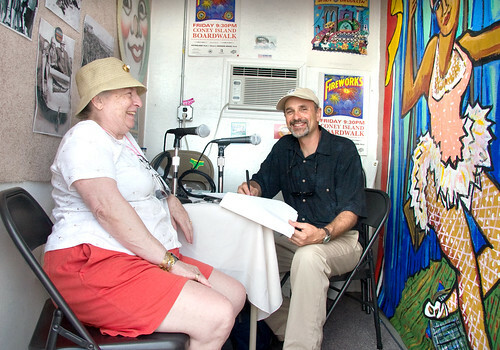 The interviews are available for online listening on the Coney Island History Project's website. The circa 1955 Spook-A-Rama, located in Deno's Wonder Wheel Park, is Coney Island's oldest operating dark ride. 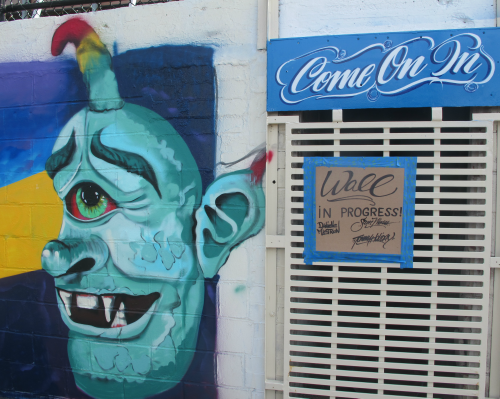 In September 2011, the Cyclops, a Coney Island legend that had originally sat atop the roof of Spook-A-Rama but had not been seen for decades, came out of retirement to be inducted into the Hall of Fame at the Coney Island History Project. After being stabilized it became the centerpiece of our induction ceremony and a popular attraction at the History Project exhibition center from 2012 through 2014. 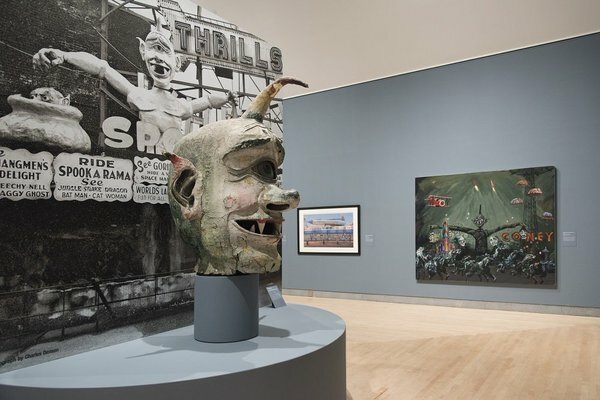 As part of the traveling exhibit "Coney Island: Visions of an American Dreamland," the Cyclops traveled for the past two years in the company of artwork by some of America's most distinguished artists to the Wadsworth Atheneum Museum of Art, San Diego Art Museum, Brooklyn Museum and San Antonio Museum of Art. 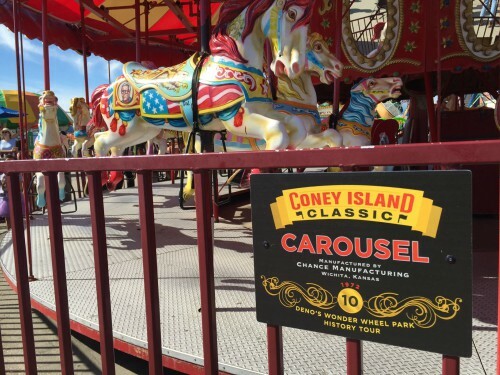 "The sculpture is unique, one-of-a-kind, a throwback to the hand-made craftsmanship and creativity that made Coney the center of the amusement universe," said Coney Island History Project director Charles Denson. 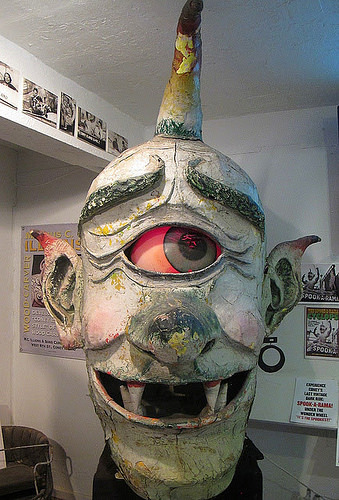 The Spook-A-Rama Cyclops will be on view at the Coney Island History Project exhibition center located on West 12th Street at the entrance to Deno's Wonder Wheel Park, just a few steps off the Boardwalk. The History Project is open Saturdays, Sundays and holidays from Memorial Day Weekend through Labor Day from 1-7pm. Admission is free of charge. 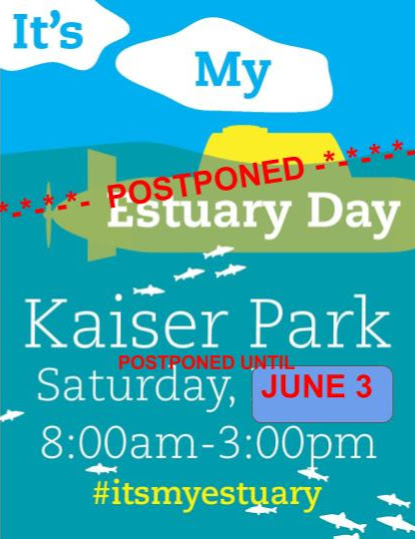 DUE TO RAINY FORECAST FOR MAY 6, IT'S MY ESTUARY DAY HAS BEEN RESCHEDULED FOR JUNE 3. 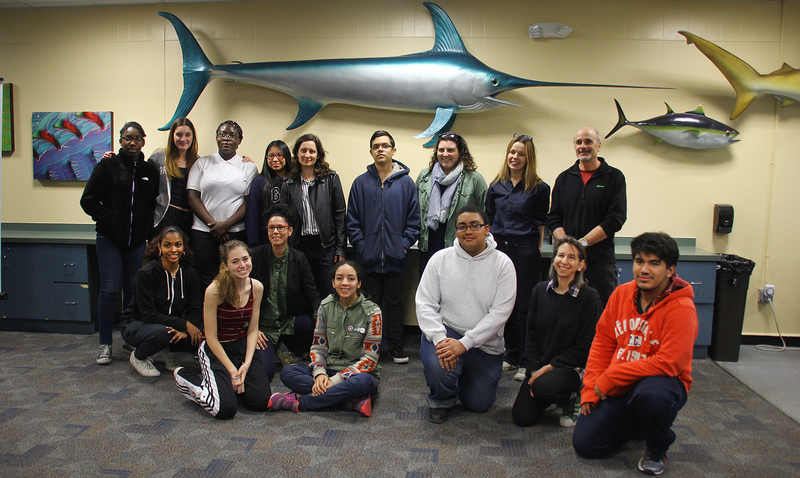 You're invited to the 3rd annual It's My Estuary Day on Saturday, May 6 June 3, from 8:00AM-3:00PM, a day of service, learning and celebration along Coney Island Creek in Kaiser Park! The free event will include underwater robotics, oyster monitoring, diving demonstrations, water chemistry techniques, seining, microscope viewing of plankton, displays by environmental organizations, host talks, coastal clean up, lunch and networking. The rain date is Sunday, June 4. 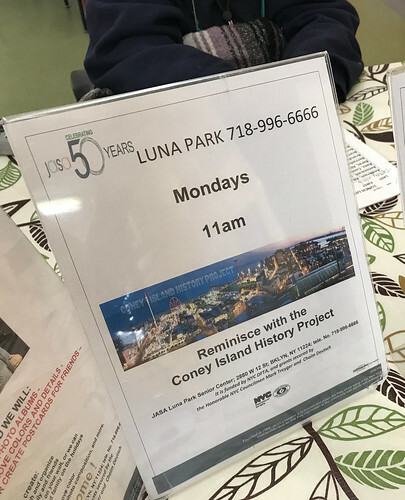 Stop by the Coney Island History Project's table to learn about our programs and pick up a free copy of the Coney Island CreekWalk at Calvert Vaux booklet and a brochure about the CreekWalk at Kaiser Park produced by the History Project for Partnerships for Parks. 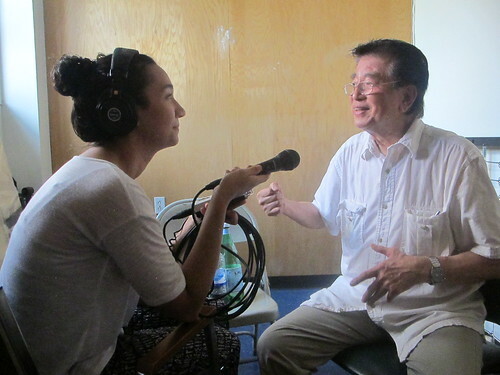 We'll have bilingual interviewers in attendance to record your stories about the neighborhood and the Creek for our Oral History Archive. 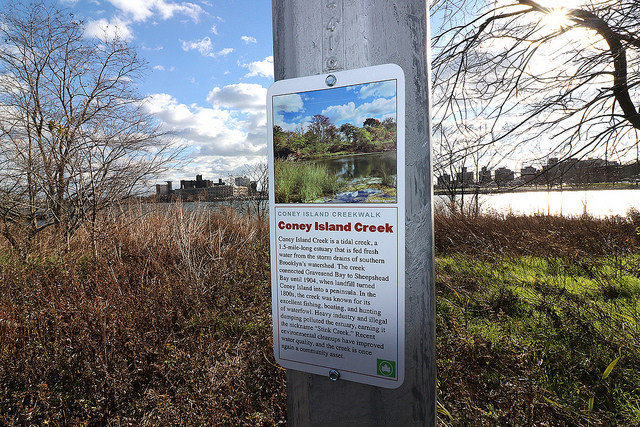 Visitors may also take a self-guided walking tour by following the markers created by Charles Denson of the Coney Island History Project for CreekWalk at Kaiser Park. Featuring over 40 partner organizations, this annual community event is organized by the Cultural Research Divers, BMSEA (Brooklyn Marine STEM Education Alliance), and NYSMEA (NY State Marine Education Association), and hosted by Making Waves, a coalition of stewards caring for Coney Island Creek and Kaiser Park. April 17-23 is Immigrant Heritage Week in honor of April 17, 1907, when more immigrants entered the U.S. through Ellis Island than any other day in history. 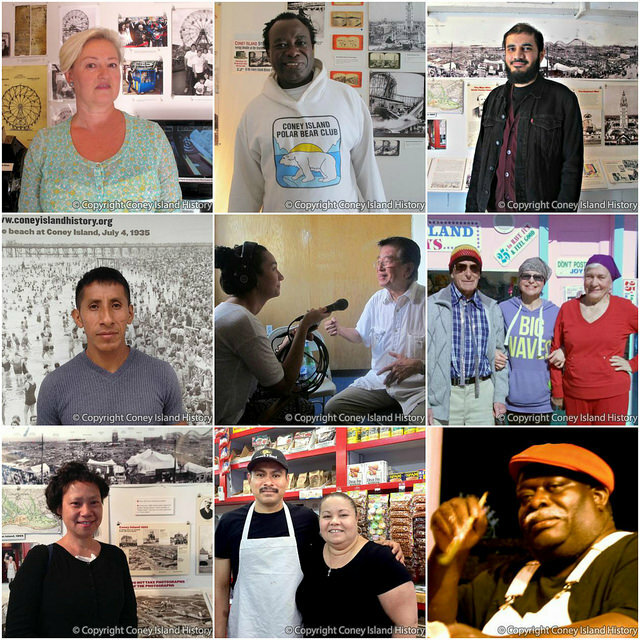 Listen to immigrant stories and share yours with the Coney Island History Project Oral History Archive. 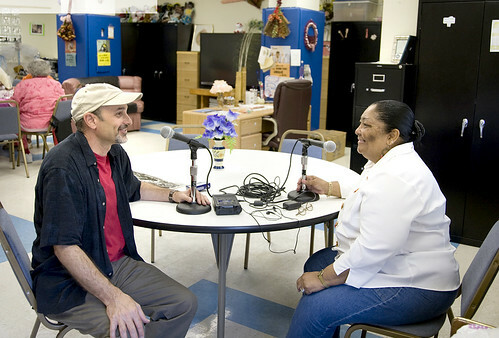 We record interviews in English and other languages with immigrants who live or work in Southern Brooklyn. Sign up here to make an appointment to record your story in person or over the phone. 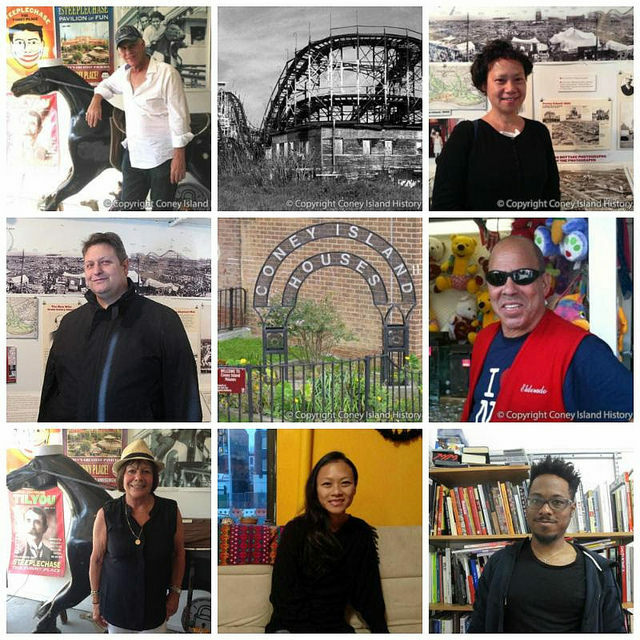 Among the additions to the Coney Island History Project's online Oral History Archive in 2017 are the following interviews recorded by Amanda Deutch, Charles Denson, Kaara Baptiste, Leslee Dean, Mark Markov, and Samira Tazari. Please listen, share, and if you or someone you know would like to record a story, sign up here. Steve Larkin has vivid anecdotes about working for Bob Myers, "The Chairman of the Boardwalk," at a Coney Island beach chair and umbrella rental company in the 1970s. Getting working papers when he turned 14 and working his way up from "schlepping chairs" to being a cashier was a rite of passage. Charles Robert Feltman, great-grandson of Feltmans Restaurant founder and hot dog inventor Charles Feltman, tells the family history, describes what Coney Island was like in the 1940s, and reveals why the family is no longer in the hot dog business. Grace Lo has been a homeowner and community activist in Coney Island's West End since 1989. "At that time we were immigrants who took a chance to live in what people said was not a good neighborhood," Lo explains. "We wanted to make the community better." Harold J. Kramer and Linda Kramer Evans share their family history and childhood memories of visiting their Great-Aunt Molly and Great-Uncle George. 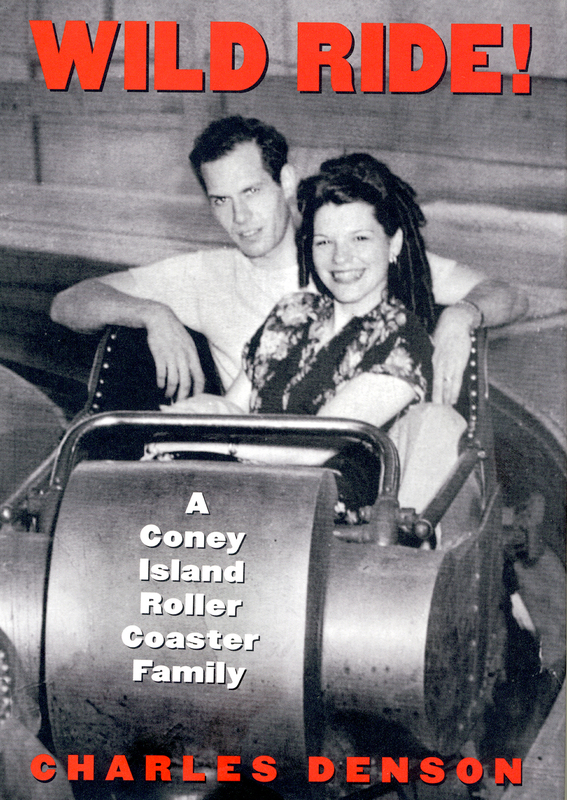 The couple owned and operated Coney Island's Thunderbolt and lived in the house under the roller coaster which was later immortalized in Woody Allen's 1977 film Annie Hall. Brooklyn resident Ronald Wimberly is a storyteller, cartoonist and designer whose graphic novel Prince of Cats is partly set in Coney Island. His retelling of Romeo and Juliet mixes comics, hip-hop and Shakespearian poetry, which he describes as "a take on '80s New York as if it were five years after The Warriors." 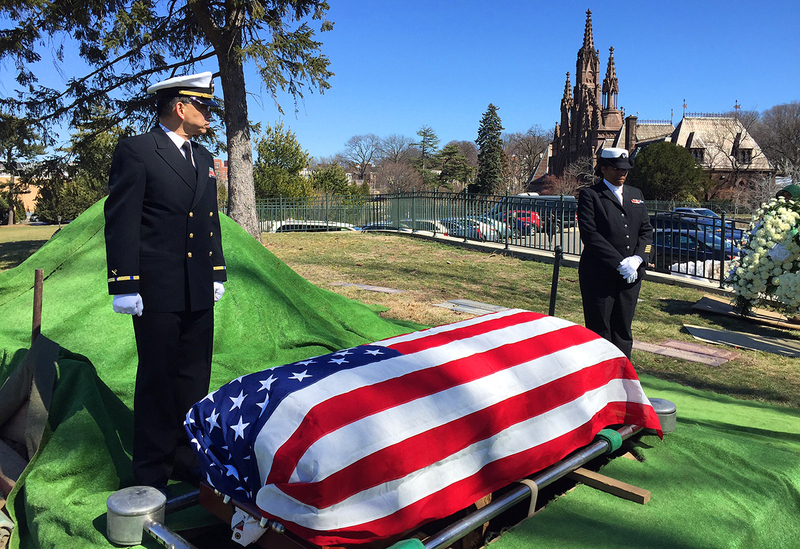 Gravesend native Donna Bianco became a police officer at age 22 and was assigned to Coney Island in the 1980s and '90s, when the neighborhood was crime-ridden and scarred with abandoned buildings. Bianco, whose mother enjoyed Coney Island in its heyday, says she learned to love her beat and its sense of history. Barry Yanowitz grew up in Trump Village in Coney Island where he could see the Cyclone and hear the screams of riders from his window. In the early 2000's, an interest in history drew him to photography as a way to document the changes he saw in Coney Island and the rest of New York City. He talks about being a street photographer and his favorite photographs of Coney Island. Dionne Brown grew up in Surfside Houses, has lived in Coney Island all her life, and works here as Assemblymember Pamela Harris's Deputy Chief of Staff. Writing as D.L. Jordan, she is the author of Living Life Like It's Golden, which describes the epiphany she reached when she turned 40. The book's subtitle is "The Latter Years of My Life Shall Be the BEST Years of My Life!" Eliot Wofse, who grew up in Luna Park Houses, shares memories of the amusement area as his boyhood playground. He reflects on his philosophy of running amusement games, which he did for a living from the 1960s through the early '80s and again in the late 2000s, and the unsustainable cost of private proprietors like himself doing business in the new, corporatized Coney Island. 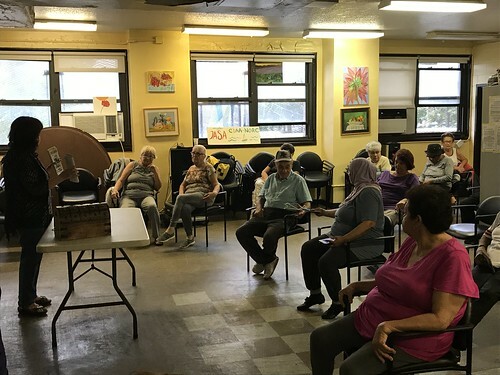 Susan Hochtman Creatura recalls living in Coney Island Houses when it was new and her Jewish immigrant grandparents, who lived nearby. Her parents marveled that this New York City housing complex for working class people was located right on the beach. "They talked about how Coney Island was a paradise," she says. 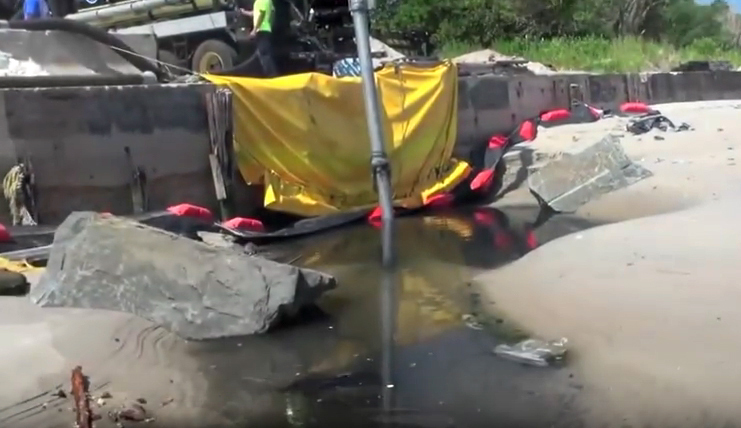 "They had so much fun here, they didn't feel poor." Yoga and meditation teacher Chia-Ti Chiu has been teaching Yoga on the Beach in Coney Island since 2014.The idea for the donation-based classes on the beach off West 19th Street originated with Coney Island's Lola Star. "Having our view be the ocean, I often refer to it," says Chia-Ti. "How can you live a life as expansive as the horizon?" 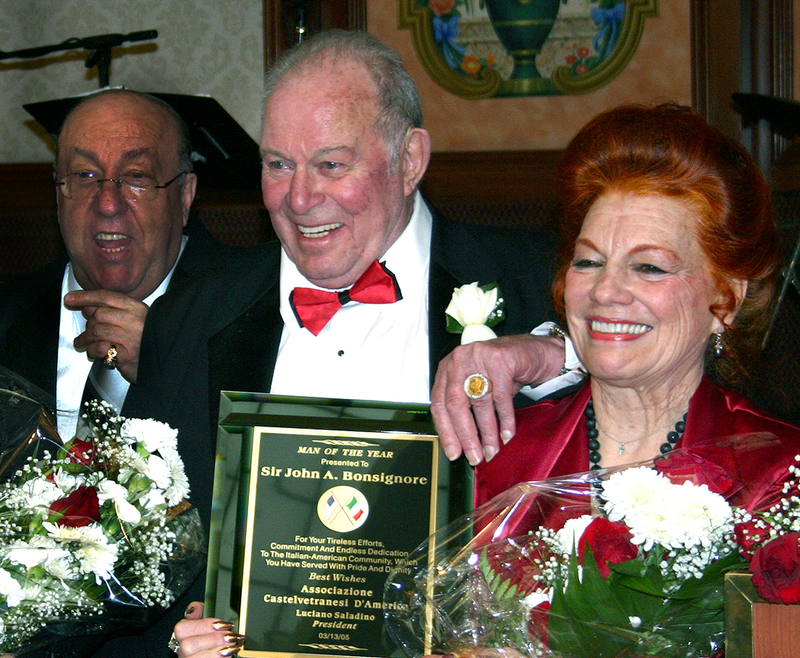 Al Burgo, who grew up in Gravesend Houses in Coney Island's West End in the 1960s, tells stories of street games and streetwise hijinks. Burgo's first job as a boy was shining shoes on the Boardwalk, an experience that he made into the 2013 film Shoe Shine Chicken. As a teen he had a thriving business selling knishes on the beach. We're proud to announce that selections from the Coney Island History Project's Oral History Archive will be part of the NEH on the Road exhibit "Coney Island: Visions of an American Dreamland" touring the U.S. from April 2017 through March 2022. The NEH-funded exhibit, which first opened at the Wadsworth Atheneum Museum of Art and traveled to the Brooklyn Museum and San Diego Museum of Art, was adapted from its original format to make it available to smaller venues in communities large and small across the country. This new traveling exhibition from NEH on the Road will explore America's playground as a place and as an idea, examining its persistent presence in the American imagination. Among the Coney Island History Project interviews featured in the exhibit are Beth Allen, who was an incubator baby in Dr. Martin Couney's sideshow in Luna Park; Joseph Albanese, who recalls a time when police didn't allow bathing suits on the boardwalk even though bathing suits were very modest; and Ron Rossi and Ronald Ruiz, who talk about their experiences riding the Parachute Jump, the Cyclone and Steeplechase Horse Race at Steeplechase Park. Clips from these interviews and several others will be running on a loop at one of the listening stations in the exhibition. Upcoming venues include the Brazos Valley Museum, Brazos, TX (April 6-May 25, 2017); Ypsilanti Public Library, Ypsilanti, MI (June 16-August 11, 2017) and the Sioux City Public Museum, Sioux City, IA (November 10, 2017-January 7, 2018). Pending destinations include Hagerstown, MD; Green Bay, WI; Reading, PA; Temple, TX; Park City, UT; Hastings, NE; Buford, GA; West Branch, IA; Baton Rouge, LA; Greenville, SC; and Shawnee, KS. NEH on the Road is a special initiative of the National Endowment for the Humanities designed to create wider national access to the ideas, themes, and stories explored in major grant-funded NEH exhibitions. The program is funded by the NEH and run by Mid-America Arts Alliance, a non-profit regional arts organization located in Kansas City. If you would like to bring the Coney Island exhibit to a venue near you, check the NEH on the Road website for details.